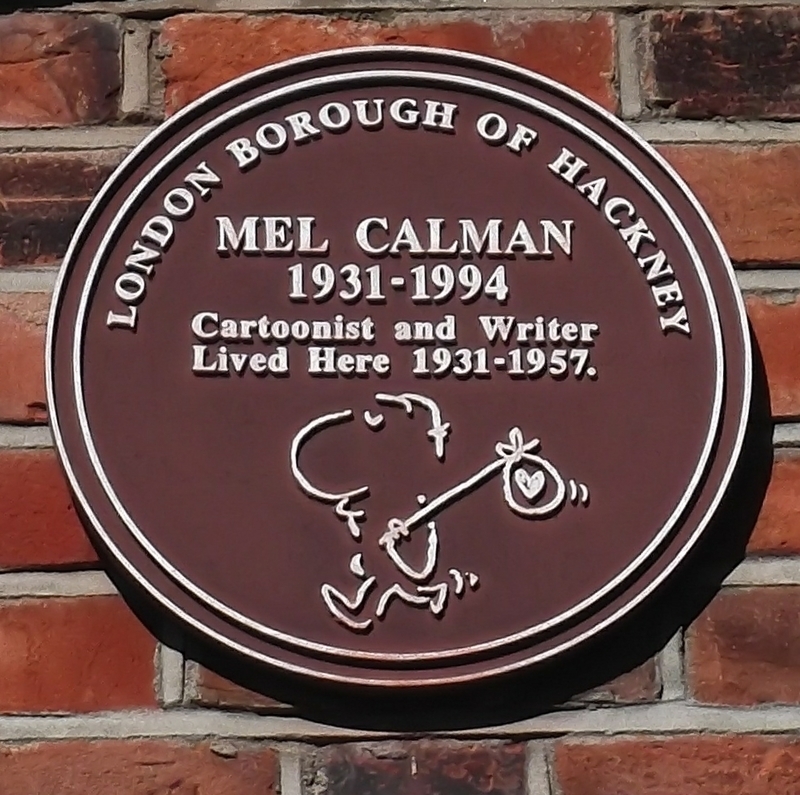 Mel Calman 1931 - 1994 cartoonist and writer lived here 1931 - 1957. 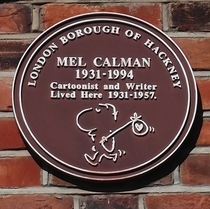 The brown plaque is difficult to see on the red bricks. It's in the arch above the ground floor bay window.